When we think about honeymoons, we tend to think of the Caribbean, Asia, maybe Zanzibar or the Seychelles, or one of the famously romantic and crowded cities of Europe. And yet, here is a fact: Uganda is one of the most beautiful countries on earth. Blessed with a perfect climate and kilometres of unspoiled nature, Uganda has yet to tap its tourism potential. Which means you’re more likely to miss out on the crowds and inflated prices you’ll run straight into in, say, Rome. If you don’t think Uganda has more than enough places to honeymoon in, let’s ask a few questions. Have you ever stood at the top of Murchison Falls? Tracked elephants at Queen Elizabeth? 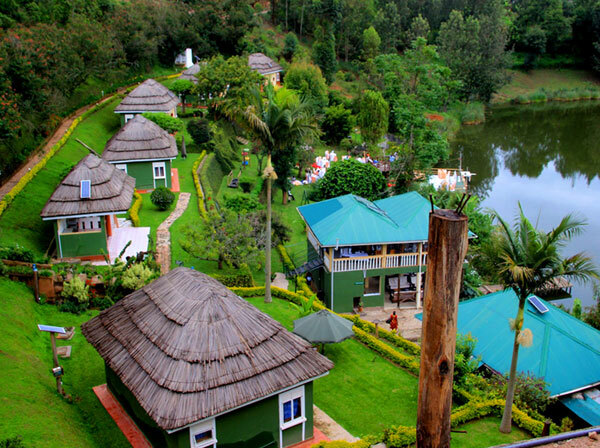 Rested in tranquility at Lake Bunyonyi? One sad truth is that many Ugandans never bother to go and explore the beauty of their homeland. Uganda is blessed with lots of rare wildlife, snow-capped mountains and the second-largest freshwater lake in the world. It has five-star luxury safari lodges and more modest camps that provide great deals for the budget minded. So whether you want an adventure or week of lying by a pool, why not consider saving yourself some airfare—and time? Have your honeymoon right here, in the Pearl of Africa. Some hotels will throw in a free suite in which the happy couple can spend their wedding night if you hold your reception at their place. (The time to inquire about this is, of course, when you’re shopping for reception venues and not on the day of the wedding.) Most couples, will want soon after their wedding night to escape the congested, dirty, potholed city they see every day. For a fresh lake breeze and a beach with minimal travel time, one can visit the Ssese Islands in Lake Victoria and stay at any of the various hotels there. Getting there is via the common MV Kalangala ferry, which departs from Nakiwogo Landing Site in Entebbe. It’s a three-hour trip to the islands. An alternative method is to travel by speedboat, which condenses the same journey into 45 minutes. Camping is also available for those who like to get close to nature and there are numerous tourist sites for leisure and sightseeing. Activities include swimming or wading in the great lake Victoria (though beware of contracting bilharzia, a nasty parasite that’s common in tropical freshwater bodies), romantic nature walks in the Kalangala Forest, fishing and bird watching. 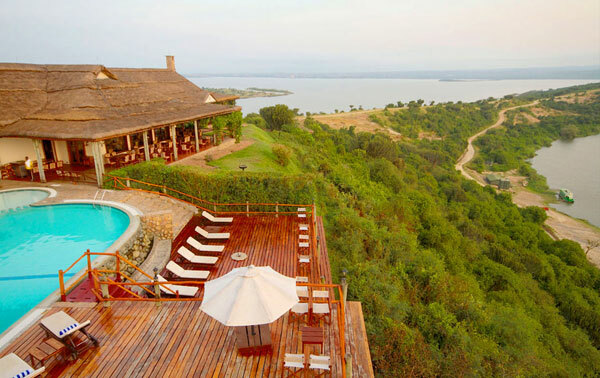 Mweya Safari Lodge in Uganda’s Queen Elizabeth National Park overlooks the Kazinga Channel, thought to have the greatest concentration of hippos in Africa. Ever thought of a honeymoon in form of a safari? Wild game drives and gorgeous hiking trails, chimpanzee or gorilla tracking and exquisite bird watching is just hours away from Kampala by car. Should you and your loved one want this, depending on the package you choose, you will be able to go through the breathtaking Murchison Falls National Park, take a boat cruise on the River Nile to the bottom of the falls and see giraffes, lions, elephants and schools of hippos. Or you could go to Kibale District, where you can camp and rest before taking your chimpanzee tracking trip the following morning in Kibale Forest National Park. There is also the option of a breathtaking drive ascending and descending the hills into Bundibugyo District to visit Semliki National Game Park, where a fascinating, all natural hot springs adds additional flavour to your honeymoon period before you see the Rwenzori Mountains. One may also visit Queen Elizabeth National Game Park and travel to see the Kazinga Channel and admire the diverse bird species. Let’s not forget the once-in-a-lifetime tracking of rare mountain gorillas in Bwindi impenetrable Forest. If you book a package from a tour company, the rates usually include full ground transportation, and fuel, a full time guide/driver and his associated expenses, park entrance fees, activities, permits and taxes, accommodation and meals including breakfast, lunch, and dinner. Meals en route are also provided. If you don’t want to go with a tour company, some hotels or resorts will charge a standard fee for full board per person transport to and fro Kampala, and one activity such as a game drive or a water hiking session. If you don’t opt for a package, don’t forget to figure in the costs of park entry fees, tracking permits and the like. The good news is that most of these fees are much lower for East African residents than they are for expatriates. On the other hand, perhaps the thought of a safari makes you feel tired. After all the stress of weeks of wedding planning, all you want to do is curl up with your new spouse somewhere lovely and secluded, and you’d rather not spend a bundle. 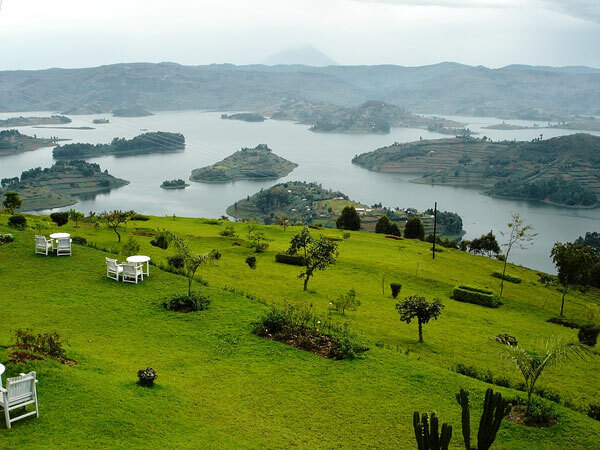 If that sounds like you, I urge you to seriously consider Lake Bunyonyi for your honeymoon. 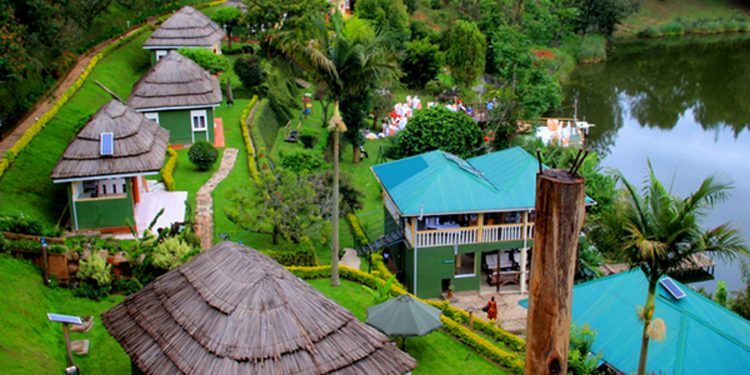 Located some 410 kilometres southwest of Kampala, just outside Kabale town, this famously beautiful spot is considered by many to be the most romantic place in Uganda. Take a peaceful canoe trip with your sweetie, watch the incredible number of exotic bird species (Lake Bunyonyi means “Lake of Little Birds”) take quiet walks, mountain bike, fish and swim. One of the deepest lakes in the world, Bunyonyi is also considered one of the few that is bilharzia free and therefore completely safe for swimming. Accommodation is in extremely well appointed tents outfitted with comfortable beds or cottages. In some of the hotels, meals are preordered and taken in the camp restaurant. If you’re really on a budget—or are a truly outdoorsy type—both facilities have a much cheaper option for those who want to pitch their own tent. To the east is another fantastic honeymoon destination practically in your backyard. Less than a two-hour drive from the capital is Jinja. Here you can enjoy some of the best river rafting in the world near the legendary source of the Nile River, visit the breathtaking Bujagali, go bungee jumping or quad riding. Camps and lodges are plentiful in Jinja; you will be spoilt for choice. The east includes Mbale, Soroti and Kapchorwa and magnificent mountains and other natural scenery. Visit the Uganda side of Mt. Elgon National Park and climb the fourth highest mountain in Africa. You can camp at Wagagai, the mountain peak, or at trailheads at Budadiri and at Kapnarkut where park fees and trekking can also be organised. There are also guided walks through the bamboo forests. 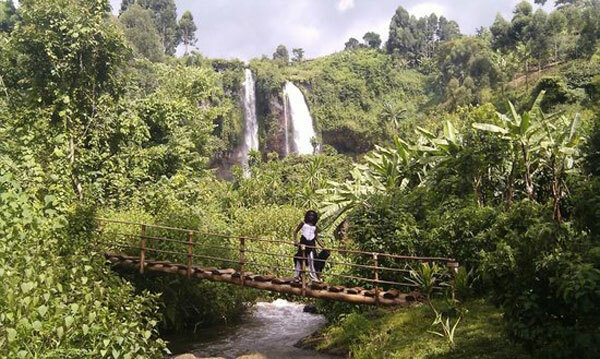 In Kapchorwa are the breathtaking Sipi Falls. These are just a sampling of the honeymoons you can go on without ever leaving the country. Even if you weren’t lucky enough to have several million left over in your wedding budget to pay for your honeymoon, you and your sweetie can still have a beautiful holiday—and come back rested and ready to begin a long and lovely marriage.